The Apart?hotel offers 118 studios and 1 bedroom apartments. 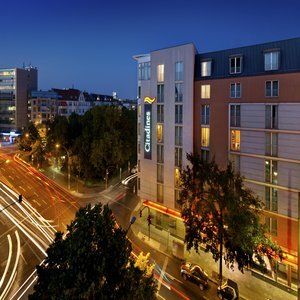 Whether you are travelling on business or pleasure, Berlin enjoys an international reputation for its festivals, vibrant nightlife, contemporary architecture and avant-garde art galleries. Don?t miss a visit to the designer stores at FriedrichstraÃe, the Potsdamer Platz, the Brandenburg Gate or the Reichstag (German Federal Parliament). The city is also famous for its numerous parks. Close to the residence, stroll through the Tiergarten Park, the best one for relaxation according to the Berliners. The studio apartments have double or twin beds and the 1 bedroom apartments have a double sofa bed in the living room and twin beds in the bedroom.